The Art of lyricism, rhyming and all of the above – Censor This! Complex magazine Knowledge of rappers is piss poor. Every year for the last 5 or 6 years Complex has released an article about the top 20 rappers in their twenties. The 20 rappers chosen are supposedly ranked on their ability to rap and their overall portfolio of work. Unfortunately what complex claims the rankings to be based around is incredibly inaccurate and is really based around popularity and hype around that artist in the last year. Often missing artists who deserve to be on the list and in their place putting artists who don’t deserve to be on this list (Cardi B) or terribly ranking artists. For example the last two years chance the rapper has been ranked in the top 2. Chance is an incredibly talented artist but anyone with enough knowledge about hip hop knows he is not even close to a top five rapper. Chance is very popular and likeable, this is likely why complex thinks so highly of him. Due to personal afflictions with complex and their opinions on rap over the years I have decided to make my own twenty in their twenties article. Personally believe this article showcases a more accurate description of the talent in rap and hip hop. This list is compiled of twenty rappers I believe to be the best in their twenties based on their careers work . This list was narrowed down from a larger list of around 50 rappers. It was methodically thought out and ranked based on rappers lyricality, flow, versatility,schemes, creativity and how cutting edge their music is. It is very important to realize that this list is based around rappers I listen to, I realize my own bias has played a large roll on this list and article. Anyone is open to their own opinion on this topic. I encourage people to listen to more artists whole albums and become more in touch with their bodies of work. Up and coming female rapper tierra whack shows a large range of versatility as a creator and rapper. Her Debut album Whack World showed off her incredible range as a rapper. 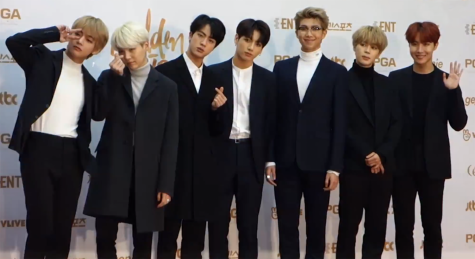 The album showcased 15 songs all exactly one minute long, each songs had stylistic differences but all cohesively fit together as an album. The 15 songs were released accompanied with visuals. Tierra’s unbelievable versatility is what really shone through on this album. Her ability to change up her flows from song to song. She showed the range to rap with speed, charisma, slow, and overall control with her flows. Her lyrics very simple but extremely catchy and fun. Showing a kanye level ability to write hooks, then follow them up with witty bars. Tierra’s influences shine through very clearly sounds that could be related to that of kanye and Kudi, Tierra did not fail to incorporate her own sound. With her choice of such short songs sometimes the listener could be left feeling as they want more which served a purpose on her album but was a tad bit agitating. From a hip hop / rap perspective Tierra shows a lot of promise but it is hard to tell what direction she will go as she clearly does not stick to one genre. She definitely is a genre fuser due to this she is ranked this low on the list. Despite this anyone who listens to rap music would agree that they are very excited to see what the future holds for Tierra as she will not only create great music but also push and redefine the genre. Young Purp. It has been a long time coming, Joey has started to gain fame with his ep iiidrops and debut album quarterthing. Joey who has been an up and coming artist in chicago alongside artists such as Vic mensa, Chance the rapper, Towkio and Kami has not failed to create fantastic music. Joey conveys a strong voice when he raps. Every word he speaks is meant and is heard. 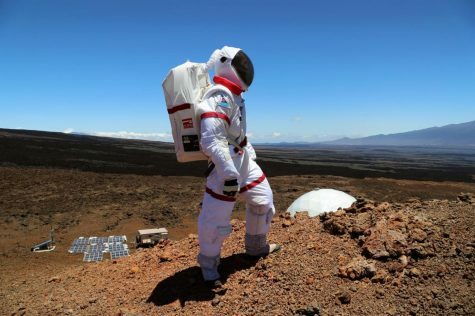 He does not mumble his words and can enunciate them with speed and precision. He has a wide variety of flows but they all stay relatively consistent to a similar sound and style. Lyrically Joey can rap catchy and killer hooks but also spit bars. Often rapping at a slow and steady pace joey marks the simple things look brilliant. 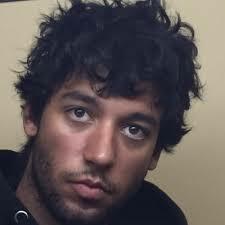 Girls@ is a great example of a song where joey hits the listener with an excellent hook and holds consistent rapping from his flow to his lyrics. Joey always delivers he is very consistent as a rapper and changes it up enough to keep his projects interesting. Joeys lack of risks as a rapper holds him back as he stays consistent which is nice because it is very rare to be with him, but it is also rare to have your socks blown off by him either. Due to this Joey has been ranked only at nineteen when i think he has the potential to rank much higher. West coast represent. 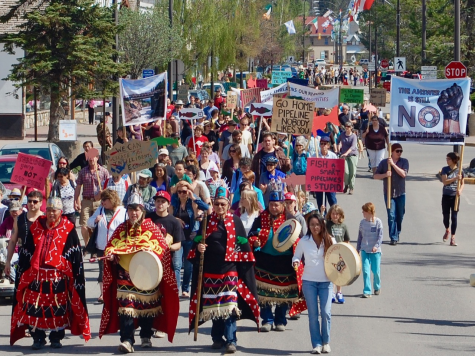 Travis Thompson represents the up and coming Northwest talent. Travis raps with an abundance of optimism, often lyrics consisting of stories from his youth and how he has learned from such experiences. His mixtape amba um from 2016 told the vivid story of Travis youth and growing up in the streets of seattle. Travis holds the talent of old school artists to tell stories with technical flow and rhyme schemes that some of the greats such as Biggie and Rakim with his own twists and a more upbeat vibe. Travis single father forgive me displays his talent more than any other song. His tremendous flow and confidence shines blindingly bright through every single verse. Recently Travis dropped his 6 track ep Runaways featuring three songs he has released as singles over the years and three new songs. For anyone who has never listened to Travis this ep boasts the talent and skill Travis holds. Canadian prodigy, Andrew Mulat is a nobody. Why is he on this list? With less than 200 monthly listeners on Spotify is Andrew Mulat from Vancouver British Columbia. 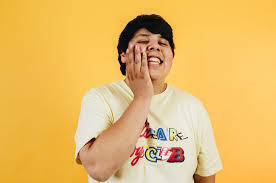 Andrew is an incredibly talented young musician, who released his stellar debut album Ultra AVX in may of 2018. The album still has gotten no attention from really anyone and Andrew is a nobody, but is one of the most exciting young artists on this list. 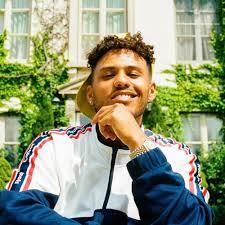 Andrew has the ability as a rapper to create phenomen al verses with witty word play, complex structure,rhyme schemes, confidence and lyrical ingenious. Andrew compared to all the rappers listed above holds a knack for writing. 333 a diss track towards Killy a up and coming rapper from Toronto. On this song Andrew shows his impressive abilities to write inventive and well thought out lyrics. Andrews album as a whole ties together and creates a beautiful mood that few rappers can capture with their bars. Personally extremely excited to see what the future holds for Andrew and when he becomes the next big thing I can say i was there first. Sugar traphouse Queen. 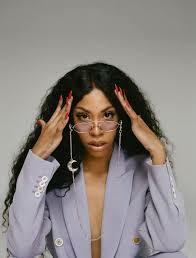 Rico Nasty raps with an energy and charisma that can catch the attention of anyone. Her delivery is in your face but in a goo d way unlike any other female rappers such as Cardi B and Nicki. Rico creates what she wants and does not seem like a product of the industry. Her charisma and unique personality shows in her music and in interviews. Many hip hop fans are patiently awaiting on her next project and to see what she does wit it. Rico is incredibly talented, but personally I believe we have only seen a sliver of what she can do artistically. Not to mention her music slaps and that’s just a fact. Rico is an artist to watch as she will likely appear more and more with big name artists and continue to push the status quo for female rappers. One of the most talented up and coming artists from chicago. Femdot has an old school lyrical sound. 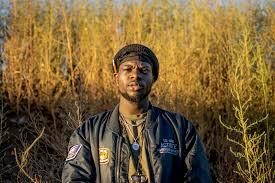 He could be compared to someone like a J Cole but Femdot has his own distinct style. 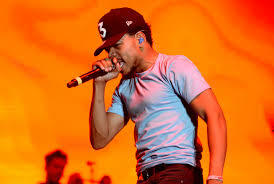 Femdot like fellow chicago rapper Chance the rapper is very socially active and socially aware. Femdot often raps about the importance of education and his own experiences growing up in the projects of chicago and going to university. Delecreme 2 Femdots most recent album was an insight into University life spoken from a very introspective perspective. In Delecreme 2 Femdot tells a story about growth through pain and struggle in his own lense, that is at its route he summarizes the human struggle. 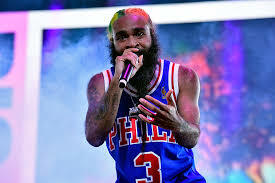 One third of the Flatbush Zombies, Zombie Juice stands out with a very unique flows. Often prolonging his words and rapping with a flow and charisma that does not fail to catch the listeners attention. The first time I ever listened to the Flatbush Zombies I distinctly remember hearing Zombie Juices line o n R.I.P.C.D . Zombie hooks the listener with a killer flow “ smoke smoke drip sip sip/ eyes closed like I missed this/ no forgiveness just a sick b***h/ Cause Im under destruction what is this”. Opening up with the repetition of sip sets up a rhyme scheme for the entire verse. This is something Zombie does often he keeps a similar rhyming sound consistent for an entire string of lines which is simple but incredibly hard to do all while rapping about a wide variety of topics and zombie does all of this exquisitely. New school lyricist. IDK rapper from Maryland is blending the styles of yesterday and today to create his own sound. His evident lyrical and flowing abilities mixed with trap style beats and catchy hooks and the odd diss track is a mixture of something not seen often. IDK raps with an anger that few rappers are able to harness his ability. He takes his built up frustration and lets them flow into his bars. This can be seen in his Trippie Redd freestyle on XXL Magazine. The rapper clearly expresses his anger related to not being on the Freshman cover compared to many of the artists that were featured on it. 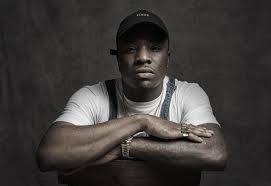 IDK comes in hot with a very battle rap style, his bars enriched wi th puns and disses, it is very apparent to see IDK took influence from battle rappers. IDK debut Album IWASVERYBAD takes the listener on a journey through his own experience. 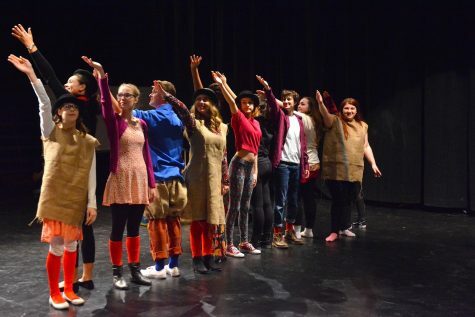 IDK tells a story of personal growth and change in an elaborate and beautiful way. The album has mixes of RnB and has trappy beats that IDK slays with his lyrical prowess. The albums cohesiveness and creativity also shows a very artistic side to IDK. Often I find artists who are very lyrical like IDK lack in pushing limits and boundaries artistically this is not the case for IDK. 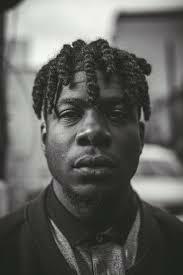 Lyricism is an art form and Mick Jenkins is one of many lyricists to define and redefine what this art form is. Mick Jenkins is one of the many talented artists based out of chicago. Mick is a very lyrical artists who could very easily be compared to many rappers who came before him. Micks Flow can change in pace and speed at a moments notice and he can rhyme with the best. Mick creates very melancholic vibes with his music that is perfect to relax too. His lyrics will make you think critically and blow you away by the sheer brilliance of them. 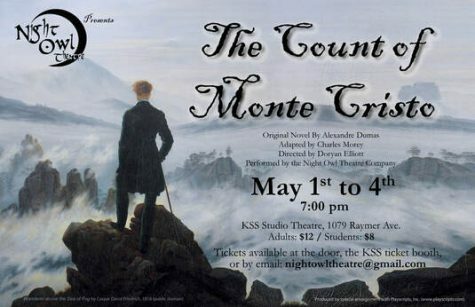 To say Noname is very talented would be an understatement. The first time I ever heard Noname’s soothing voice was a feature on Chance The Rapper’s Finish line/ Drown. I was taken by her unique style and flow. Up until this point I associated Female rappers with the li kes of Iggy Azalea and Nicki Minaj. Noname opened up my eyes and ears to a different side of rap. From this point on I listened to her debut album Telefone and loved every second of it. Nonames poetic prowess, calm flow and voice makes the perfect music to relax too. Noname is not afraid to talk about controversial issues as seen on Bye Bye Baby where Noname tells a story about abortion. Noname raps from the perspective of the mother and the baby. 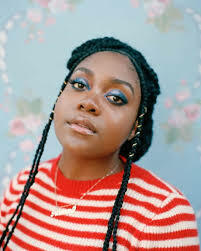 Noname creates beautiful stories in her rhymes that stick with you and cause one to question and critically think about societal norms, something that few rappers can do so effectively anymore. The first time I ever heard ski was the song Catch me outside. Instantly I was captured by his charisma and unique style. Ski raps with a fluidity that is hard to describe. His favorite adlib “water” could be used to summarize his flow. He is lyrical but not in a deep or thought provoking way. This is very impressive, because it is very hard to display lyrical prowess but ultimately rap about unimportant silly things. 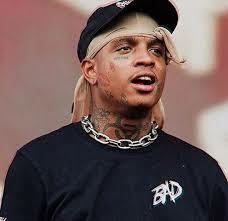 That’s the beauty of Ski is his music is very witty and the lyrics were written with a lot of thought but you can just listen to his music for fun and not be in your feelings. 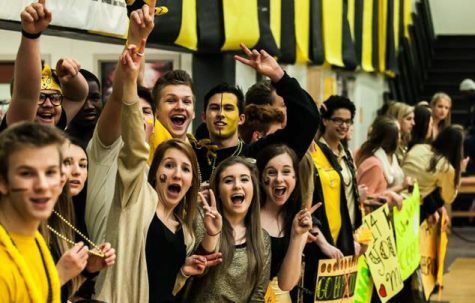 Rather it be jammin in the car with friends, getting pumped up, or just listening for enjoyment Ski consistently delivers. Chano from the 79 has been one of the biggest rappers of the last 3 years and for good reason. Since the release of Coloring Book Chance has gone from a somewhat known rapper to a household name. His flow is like butter and his rhymes are often underrated for their intriquicie. Since his debut Mixtape Ten Day Chance has stayed very consistent. Never disappointing, delivering well constructed bars with layers in scheme and meaning. Chance has showed throughout his career that he can go from rapper to poet as seen on the last song on Coloring Book , Blessings. The song opens with chance rapping but it really comes across more like a smoothly delivered poem. Chances ability to rhyme is incredible and personally I look foward to see what the future holds for him. Isaiah rashad is the whole package of a rapper. He has versatile flow, can rap chill, can rap bangers, can say somethi ng meaningful, can say something fun and pushes his creative ability. Isaiah’s album The Sun’s Tirade can capture a broad range of emotions and is the perfect album to calm down and chill out to. Isaiah’s craftiness leaves the listener in awe. He raps lines that make you think and follows it up with killer catchy hooks. For example the hook on 4r da squaw “ When I pay my bills I’m good, I’m comin’ over/ Found a message in my bottle your son is comin’ up/ By the beer, by ear, by boo – what Yari saying?/ You ain’t nothin’ but a baby, your fear is growin’ up”. This hook is so crisp and sticks with the listener like super glue. This Catchiness is something Isaiah has mastered and does very often. Vince consistently delivers year after year. Releasing a project every year since 2014 Vince has never disappointed. I could ram ble on about his stellar flow, energy and crafty lyricism but that would only touch the surface of the talent that is Vince staples. Vince make bangers and music you turn up too but keeps them lyrical at the same time and this is extremely impressive. For example 745 a song off Big Fish Theory has a catchy chorus with a simple baseline on the beat. The song when torn apart is vince using the stereotypical rap topic of cars as a metaphor to help describe his love life in a vulnerable way. This song like many others has layers that can all be interpreted as the listener likes and this makes Vince very appealing to a large variety of people. Raps most controversial artist. Peggy could care less what people think about him and this shines vibrantly through his music. 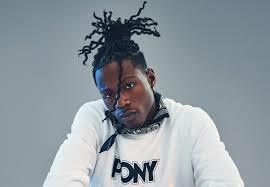 Peggy raps over glitchy experimental beats, his lyrics often causing controversy are often politically cha rged and Peggy has no fear to say what is on his mind. 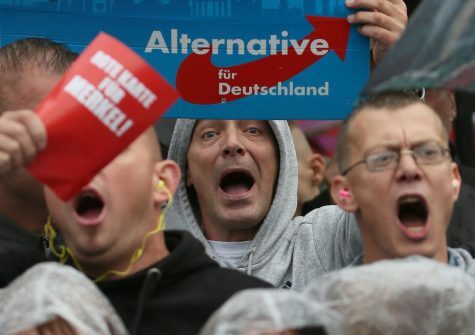 Peggy wants to stir up controversy, to expose people who are racist or feel safe in their ignorant world. An example of this would be when Peggy uses the term Cracker as a reverse of using the n word. As white people who listen to rap the N word is used alot and as Peggy sees it has become normalized so he feels the need to shock people. Peggy has been hated online for this and been called a racist by numerous people. Peggy is tired of how soft hip hop has become. It was originally created as an outlet to speak upon political issues in the 70’s and 80’s but has become much more commercialized. Peggy’s ultimate goal is too inspire someone or more people to make a change in hip hop. 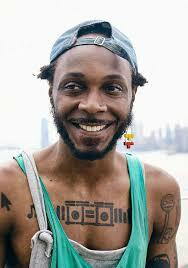 He says all this in his music over glitchy beats that represent noise like the background noise in our lives. Peggy’s rapping ability by itself is also very impressive. 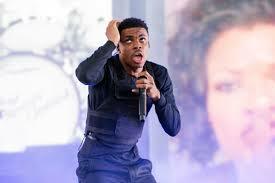 He raps with an undying energy that is infectious and it can clearly be seen that he loves what he does. sound continuous for a whole song. This incredibly unique style of rapping and his unique lyrics to go along. In an interview Meechy once said “If I rap about one thing I will always rap about the other side”. 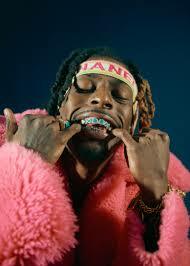 Meechy will rap about the stereotypical things such as cars, drugs, drinking and girls but if he raps about that he will also rap about the negatives of these things and show a not so dreamy side. This openness is one that sets Meechy far from many rappers. Joey has been making a name for himself for a while as a conscious rapper. Joey is the perfect common day so called conscious rapper. Speaking about political issues and creating albums to have layers that can be picked apart over a lot of thinking and listening. His flow are relaxing but he can also rap very up beat. Joey is often put in the conversation with Kendrick and Cole but does not have as much fame as them. 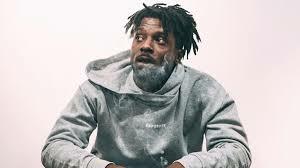 Joey also stays very loyal to where he comes from, he is a member and leader of Beast Coast a Collective from Brooklyn including the Flatbush Zombies Underachievers and more. Joey has what he would describe as a third eye which is a symbol for being conscious. It is hard to describe his lyrical prowess but I would just recommend to listen to one of his albums and hear for yourself. There is lyricism and then there is Jid. Often compared to Kendrick, although similar he is very different. Coming from atlanta his influences of east coast rappers are very apparent. His flow is phenomenal, few r appers can change their flow within the same line multiple times and make it sound natural. 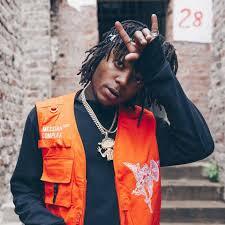 Jid’s debut Album Dicaprio 2 did not fail to disappoint and showed the listeners the talent he truly holds. The 14 track album had a mix of flows often rappers who can rap fast will just stay consistent but sometimes being consistent isn’t the best thing. Jid mixes it up and leaves you in awe. Not to mention he makes a lot of references of african american poets such as Langston Hughes and uses these references to explain things in our world now. Ultimate. 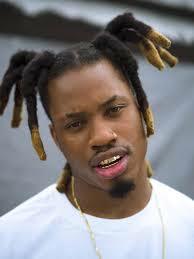 Florida rapper Denzel has been on the rise and in 2018 dropped his album TA13OO (taboo). This album was split up into three sections or acts, light, grey and dark. The album discusses the “darker side of ta boo” as referenced in the song Black Balloons. Denzel brilliantly uses his phenomenal rapping ability to tel a complex beautiful story. Beautiful may not be the way most people would describe it as it is very dark as he talks about a lot of dark things in our world but thats why it is so beautiful. Denzel does not fear to talk about things that may scare him or torment him and in doing this he faces his personal issues face on. This awareness that Denzel has is something that rappers have been doing for a long time but Denzel does at a incredible level. Not to mention he does all this with unique rapping styles that are consistently inconsistent. Earl sweatshirt is in my opinion the most unique artist on this list. 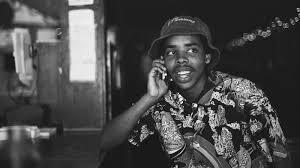 Earl has been in the spotlight since he was young and has built a fanbase over many years that loves him. 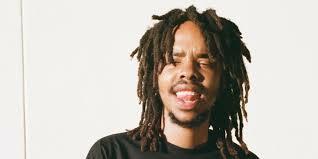 Earl’s most recent album Some Rap Songs displayed Earl in his greatest form. He did not shy away from rapping about very personal topics in a beautiful and poetic way. Within two months Earl lost his Father who he had a shaky relationship with and his uncle who was a role model in his life. 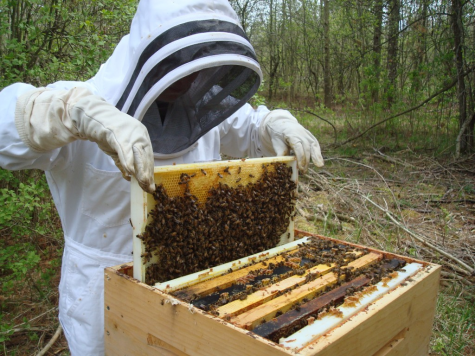 Earl plunged into a depression and this alum is a revelation of these experiences. It is delivered with a very melancholic flow but earl uses this flow in a genius way as he manipulates syllables and rhyme schemes. Earls father was a poet and mother has a P.H.D in english. With this ba ck ground it is no surprise earl is very poetic and literary smart. I could write a whole article breaking down single songs that’s how complex they are. This complexity mixed with the openness and realness of his lyrics really elevates him and puts him in his own league. Personally I can not stress how much his music has meant to me along with how much I encourage people to listen to him in depth and really experience his music.